AUTOCRATIK: #RPGaDAY2018 - DAY 22: Which non-dice system appeals to you? 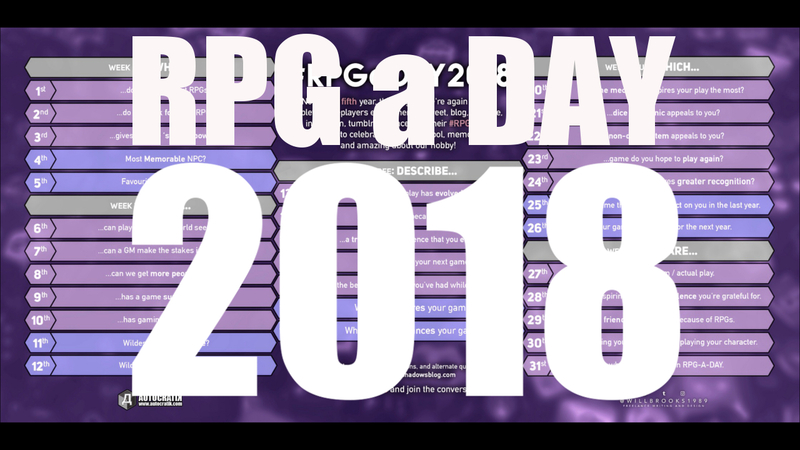 #RPGaDAY2018 - DAY 22: Which non-dice system appeals to you? Day twenty-two of #RPGaDAY2018 is a companion to yesterday's question about appealing dice mechanics - this time asking which Non-Dice System appeals to you? Continuing from yesterday's post about how using more than one die gives you a lovely probability curve, when it came to starting to work on WILD I thought I was going to use dice in a pretty similar way. I considered loads of different options, bought loads of blank dice so I could experiment. But then I had that weird idea of using Tarot to add a random element to dreamscapes - drawing a card when you lose control over a dream and taking some inspiration for what happens from the image on the card. But for task resolution I was still thinking DICE. After all, I'd come up with the perfect name for the system - Rapid DIE Movement. Ha! Then I realised I was wasting my time - cards can be used for task resolution as well! 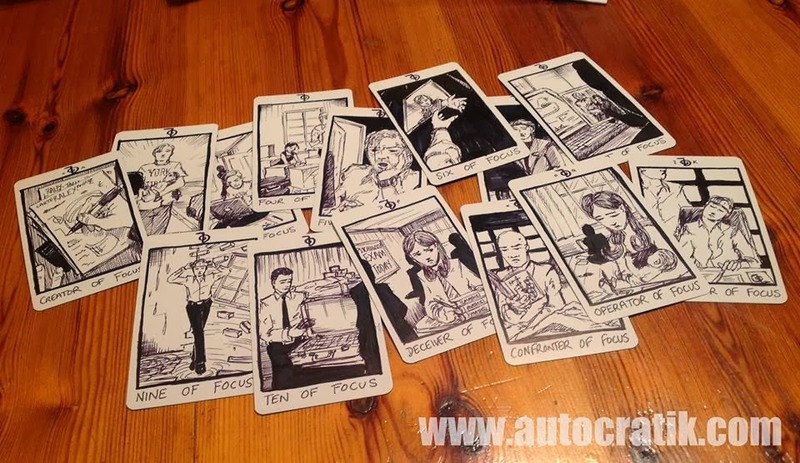 Not only do you have a basic card draw with a value of 1-10 for the basic pip cards in a deck which can be used for the same as a single D10 roll, but you also have Court cards and the Major Arcana which can have special significance. I've used them in WILD to balance the distribution of the "roll" to create a probability curve. Add into that simple bonuses from drawing a suit that matches the task, or a court card that does the same, and you've already got a heap of cool effects you can add to the "roll". And then, there's the imagery on the card, as well as the orientation of the cards as well (dignified or ill-dignified - that is the right way up, or upside-down). You quickly gain the ability to have a variety of additional "yes, but, no, and" like the Vortex system I was talking about yesterday. Well, we'll see if it works. Need to finish it first!! Okay, until tomorrow - stay multi-classy!